"Look what the Lord has done!!!" "Our New Site, Anointed teachings from many"
Today there are so many distractions that many have lost there love & passion for Jesus. This women in the next scriptures had such passion, love, and a heart of graditude that she did what others looked at as being wrong. She loved Jesus so much for the forgiveness she received that she did not care about what others thought about her. She worshipped him anyway!! Luke 7:37-45 ... a woman in the city, which was a sinner, ... brought an alabaster box of ointment, And stood at his feet...weeping...washed his feet with tears...wipe them with the hairs of her head, and kissed his feet, and anointed them with the ointment. Her passion looked past what others thought. Her passion looked past her own pride. He passion took her to a place where she was not welcome to go. ...Pharisee which had bidden him saw it, ...saying, This man, if he were a prophet, would have known who and what manner of woman this is that toucheth him: for she is a sinner. Jesus answering...Simon... There was a certain creditor which had two debtors: the one owed five hundred pence, and the other fifty. And when they had nothing to pay, he frankly forgave them both. Tell me therefore, which of them will love him most? Simon said, I suppose that he, to whom he forgave most. And he said unto him, Thou hast rightly judged. ...Seest thou this woman? I entered into thine house, thou gavest me no water for my feet: but she hath washed my feet with tears, and wiped them with the hairs of her head. Thou gavest me no kiss: but this woman since the time I came in hath not ceased to kiss my feet. My head with oil thou didst not anoint: but this woman hath anointed my feet with ointment. Wherefore I say unto thee, Her sins, which are many, are forgiven; for she loved much: but to whom little is forgiven, the same loveth little. And he said unto her, Thy sins are forgiven. You see the others around her looked down on her for what see did. Not Jesus! Her passion led her to Jesus. He had forgiven her much and that resulted in much love and much passion. What has taken your passion for Jesus? Has the trials and hardships of live drained you of the love you felt for God when you first got saved? Where is your passion? Do you put more into your job, your friends, your family, your play, than your time with God? Is all of your energy taken up by the things of this world? Do we take for granted the things we have received since we believed? We have received forgiveness for our sins as this women. It says she loved much, have we loved much? Have we forgotten where He has brought us from? Do we put Him first? Pride is excessive belief in one's own abilities, that interferes with the individual's recognition of the grace of God. It has been called the sin from which all others arise. "the love of one's own excellence"
The sin of pride is a preoccupation with self. It is thus very fitting that the middle letter in the word is "i." Pride is all about "me, myself, and I." So even as the word "pride" is centered upon an "i," the sin itself is also centered upon "I." Satan's enmity against God began with "I". And so it is with us. If you are preoccupied with yourself, you are suffering from the sin of pride. We all like our own opinions, but that can cause pride to be puffed up with in us. We even fight to get our opinion heard or agreed with. Publican = Jimmy Swaggart’s notes a tax collector, referred to by Israel as a traitor & there by beyond salvation. Pharisee - I am not like other men, I fast twice a week; I give tithes of all that I possess. How do we look at others. Meddle - Interfere in or busy oneself unduly with something that is not one’s concern, to touch or handle something without permission. These men in 2 Kings and 2 Chron. we lifted up in pride. We hold on to our pains. We look at others and say our pain is worse. You have no right to hold on to something that the word of God says to let go of. Why are you giving your pain more glory than God!! We must look to Jesus who humbled himself and died on the Cross for us. We must forgive and not let our hearts be puffed up in Pride. Pride will cause you to stop having faith in what Christ has done for you at Calvary, because you are self sufficient, independent. Today is a new day, start here, then tomorrow also is a new day, start here,... and again... do not let yesterdays hurts come over to today’s living. Look to Christ, Look to what He has done for you at Calvary, let the power of the Holy Spirit work in you and let what God has always wanted for you to come into your life. Are you putting. “I” on the throne? Pride is at the very top of the list of things God hates. "These six things doth the Lord hate: yea, seven are an abomination unto him: a proud look, a lying tongue, and hands that shed innocent blood, an heart that deviseth wicked imaginations, feet that be swift in running to mischief, a false witness that speaketh lies, and he that soweth discord among brethren" (Proverbs 6:16-19). Christians also recognize pride in others because they may appear to be stuck up, self-centered, ambitious and high-minded. But few Christians would consider themselves proud. Pride is independence - humility is dependence. Pride is an unwillingness to wait for God to act in His own time and in His own way. Pride rushes in to take matters into its own hands. One of the greatest temptations true Christians face is getting ahead of God. It is acting without a clear mandate from God. It is taking things into our own hands when it appears that God is not working fast enough. It is impatience. The Cross Represents the death of all my own plans, all my own ideas, my own desires, my own hopes and dreams. It is most of all the absolute death of my own will. This is true humility. Humility is associated only with the Cross. "He humbled Himself and became obedient unto death at the cross. (Philippians 2:7-8). He had told His disciples, "My meat, My fulfillment in life, is to do the will of Him who sent me (John 4:34). He said "I can of mine own self do nothing: As I hear, I judge..." (John 5:30). In other words, I refuse to take matters into my own hands. I wait to hear every direction from my Father!, He who is the Light, absolute intelligence, knowing all things, humbles Himself, makes Himself totally dependent upon the Father in all things. I can't do it on My own" Jesus said. John wrote, "As He is, so are we in this world ... (1 John 4:17). There is not a true Christian but who can say, "I really want to do His perfect will." But here is where we miss it, we set our hearts on something that we want, something that looks good that sounds logical, but is not God's will. We will fast and pray and intercede for it! Cry a river of tears! Claim it! Bind demons hindering possession of it! Quote Bible! Get others to agree with us! One of the biggest traps to Christians is a good idea which is not God's mind, a good strategy which is not His, a well-conceived plan that is not His. 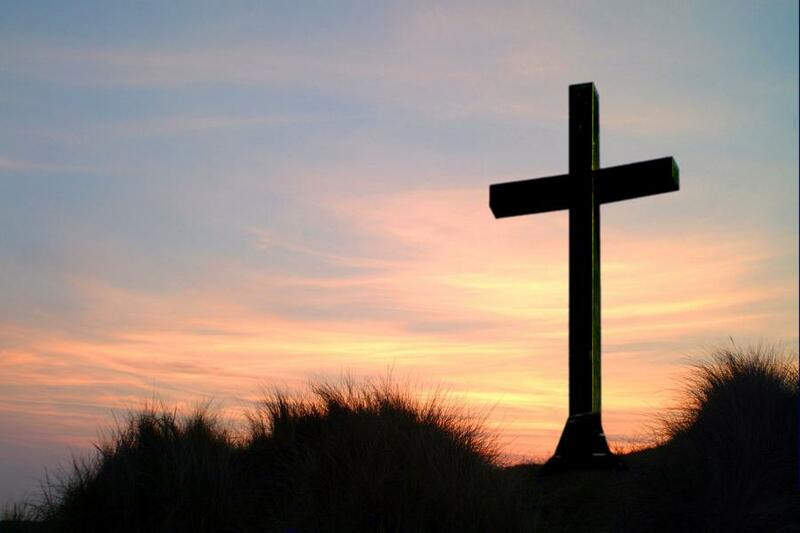 The question is - can your desire survive the Cross? Can you walk away from it and die to it? Can you honestly say, "Lord, maybe it's not the devil stopping me, but You! If it's not Your will it could destroy me. I give it up to the Cross! To death! Do it Your way, Lord." It is when you go down into the grave of death to all self, all ambition, all self-will, that you hear His voice. Jesus said, "The hour is coming, and now is, when the dead shall hear the voice of the Son of God... All that are in the graves shall hear His voice" (John 5:25,28), This is why thousands of Christians today are getting into trouble hearing still small voices. There is confusion, things are not coming out right, because there has been no dying to self-will. Yes, I believe God does speak to His children. You can hear His true, holy, unmistakable voice, but only after crucifixion of self-will and self-desire. Jesus heard clearly from the Father. So did Paul, Peter, John and Stephen; but only because they were dead to this world. They were consumed with doing His will only. Examine your heart. Do not be lifted up in Pride. Humble yourself!!!! !